There’s a tune in the first set on One called So I’m Off with the Good Saint Nicolas. It’s a Scott Skinner tune, bringing in connection to Scotland that lives in the fiddle playing of Cape Breton and Ontario in Canada, and rightfully so, as Natalie MacMaster and Donnell Leahy are two of the best to play this sort of music. It also invites a sense of humor and an idea of journey, two things which are borne out through all the music they have chosen for the recording. It is the first album they have done together. When they married, twelve years ago now, that was an idea they had in mind, but they each had well booked solo careers and commitments, and then there was the matter of children coming along. They kept the idea, though, and began working how to do it. What has emerged is on the one hand not surprising to anyone who knows their musicianship, but on the other hand a creation of music that is an immediate joy and likely to prove a lasting one as well. That comes from a conversation in music between two of the world’s top class fiddle players. Both grew up in families where music was a part of daily life. MacMaster comes from in a community on Cape Breton in Nova Scotia where music was part of day to day life in the surrounding area; Leahy, on the other hand, was raised on a family farm in rural Ontario, an area, he recalls, where the interest was more likely to run to sport that music. “The area we come from isn’t a musical area, so I grew up not hearing fiddlers that much and was able to develop my own style,” Donnell recalls. With parents who both played music and ten siblings to join in, it became a family adventure to create music, and eventually, a family band. Over in Atlantic Canada, MacMaster's mother began teaching her daughter to step dance, and she started learning the chords of Cape Breton style piano playing too. It was the fiddle, though, that captured her heart. "I had a very unique childhood," she she says, "in that I was surrounded by a culture that was rich with fiddle tradition, and that is why I am a fiddler. That is why I do what I do. If you saw where I grew up, and the environment I grew up in... there was really no other instrument of that magnitude. The fiddle was, and is, the most popular instrument in Cape Breton. It was very natural for me to start playing.” When a relative sent a small size fiddle over for whoever of the kids in the extended family wanted it, Natalie was drawn to it. “I remember Dad taking me to see the fiddle and I just fell in love with it. I'm like -- can I have it?" she continues, her voice warming at the memory. "Nobody else wanted it, so I took it, and that night, I started playing." She was nine. They each grew in music, MacMaster in the strongly Scottish based yet uniquely Atlantic Canada shaped style of Cape Breton music, Leahy in the mix of Scottish, French, Nordic, and Irish influences that make up the music of Ontario, with in Donnell’s case, a touch of the Maritimes, as his mother is from Cape Breton. Along the way, they each earned awards and award nominations including Junos and Grammys, and collaborated with artists ranging from Edgar Meyer to to Alison Krauss to Mark O’Connor to Shania Twain. So, when they married a dozen years ago, they had in mind to do a recording together. Though it took a time to work it out. the result has clarity and grace that brings in their varied and similar understandings of music. The Saint Nick’s set offers that connection to Scotland and the landscape of Cape Breton, and a sense of joy in the journey and a call to dance, ideas which continue through the music MacMaster and Leahy offer. Fiddles drive the journey and draw you in to The Chase, a tune they wrote together and one which seems to echo with a call to dance. Through the music on One MacMaster and Leahy are supported by musicians who tour with them often as well as musical friends sitting in for these sessions. Among them are the Cape Breton fiddle contingent of Kinnon Beaton, Brenda Stubbert, and Dawn Beaton, Betty Beaton, Rachel Aucoin, and Mac Morin on piano, Tim Edey on guitar and accordion, and Kenneth MacKenzie on fiddle and Highland pipes. There are two other collaborators you might not expect, as well: producer Bob Ezrin and producer and recording engineer Justin Cortelyou, who have between them worked with musicians including Pink Floyd, Alan Jackson, and Taylor Swift, among others. The producer connection came about after Natalie was invited to sit in as a guest on a track fellow Canadian artist Johnny Reid was recording in Nashville, produced by Ezrin. MacMaster got to talking with Reid about the duo album she and Leahy were planning. Reid asked if he could share the information with Ezrin, and “Five minutes after I got home from Nashville, Bob called to say he enjoyed working with me and that maybe we could do it again, “ MaMaster says. “After Donnell and I met Bob and, through him, Justin Cortelyou, we all very quickly realized this project was meant to be a collective effort, a passion shared by all." Natalie and Donnell had already chosen the music for the project by the time Ezrin and Cortelyou came on board, but it was in fact Ezrin’s idea to record the project in Cape Breton. The respect and encouragement among musicians and producers came through in the recording process. "There is very little that is as exciting as working with people who are masters at their craft," Ezrin says. Donnell points out that in working with Ezrin “You feel challenged to give your best, and so “There is a real intense vibe and a live feeling on the record, with everyone just going for it." That holds through out the music, including places where several of the tunes have unusual touches. On the Pastiche for Anne set, for example, there is a distinct piano presence, which is common in Cape Breton music -- but in this case, it was created by having two players working on one piano at the same time. Percussion is a part of Cape Breton style as well, often created by tapping feet or the beat of a bodhran. For the Joyous Waltz set -- which does include that waltz time tune and then moves into the faster beat of a polka -- the drum kit included paint cans and other recycled materials. There are touches of electric guitar on a track or two as well. Equally ideas suggested by the artists as by the producers, these flavors are all in service of the tradition from which the tunes arise; they just add a shading now and then. None of which you have to know to appreciate the music, creativity, and connection Natalie and Donnell share through out the album. There is a set in tribute to Natalie’s uncle, late fiddle music great Buddy MacMaster, a Clog Medley set which brings in the flavors of Donnell’s Ontario background, and Wedding Day Jig, which the couple wrote together as a gift to give to guests at their wedding. After the spice and fast paced high energy of most of the sets, Ezrin suggested they end the album with a lullabye, and that Natalie sing it. At first reluctant as she doesn’t consider herself that much of a singer -- she’s been known to sing occasional harmony on stage but little more -- she got into the spirit of the idea. 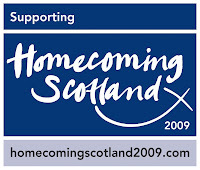 The result is the lovely traditional song Cagaran Gaolach, which Natalie sings in Scottish Gaelic. ...and that’s not quite the end, after all. There is a bonus track, The Balkan Hills set, which makes a lively and engaging full circle to the music of One and which begins with a bit of banter among the musicians, suggesting the idea of music shared, as is common in Cape Breton and in Ontario, at an informal party in the kitchen. There is a joy, a connection to land, heritage, to family, and the spirit of sharing music that comes through clearly in these tracks. Several years back, I had the opportunity to ask Natalie to reflect on playing the music of Atlantic Canada. "It's just in me strong, it's my favorite music. 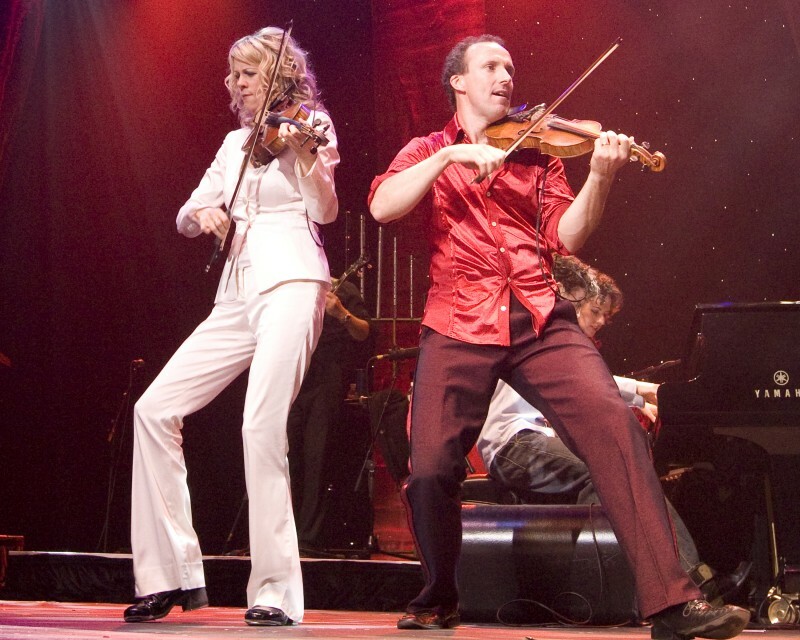 Nothing makes me feel the way I feel when I hear Cape Breton music, and I'm not talking about my own music, I'm talking about all those who have come before me and those who are my peers," Natalie MacMaster said. "When I go home and I hear a good fiddle tune, there is no music that makes me feel like that. It does many things at the same time. It makes me feel just wild, like I want to get up and dance, and at the same time it soothes me. It has a crazy effect on me. It just fills me with pure peace." Flying notes, fast paced jigs and reels and polkas, paint can percussion and Gaelic lyrics, original music and tunes from Scotland, Ireland, the Maritimes, and elsewhere, piano, bagpipes, guitar, accordion, and of course fiddles: all those, in the hands and spirits of gifted musicians, will likely have a similar effect on the listeners of One. Photographs courtesy of Cambridge Artist Management and Paquin Entertainment. Thank you for respecting copyright.